Whether you’re close with your bro or see him only a few times each year, choosing a gift for a brother is not something many people easy, despite the fact that you’ve known him your whole life (or close to it). A person can only have so many polo shirts or t-shirts, and things like underwear are obviously out of the question as gifts for your bro. And so many of those “gifts for men” types of lists focus on fathers or romantic partners, and that’s just not going to cut it when you need a gift for the guy who has been a thorn in your side for most of your life. Despite the fact that your brother might be a tremendous pain in the neck, you want to find a gift that’s meaningful and useful. Or, perhaps your brother is the type of guy who gets a kick out of a gag gift. The right gift depends on the type of guy your bro is, what kind of relationship you have, your budget, and some other considerations. To help you weigh them and find the best gift ideas for your brother, we’ve put together some helpful tips and guidance to make the shopping experience a little less excruciating. If you’re close with your brother, you have the advantage of knowing what he likes and doesn’t like, what hobbies he enjoys, his typical style, and other information that can help you find the perfect gift. If you’re not that close with your brother, however, it can be a bit more challenging. One way to discover great gift ideas is to ask your brother’s significant other for help, or even your parent. If you have the opportunity, you can also ask his closest friends for ideas. Think about how your brother spends his spare time. Does he go hunting or fishing? Maybe he’s a golfer. Does he like to travel, or is he a homebody? Is he a college student or living the bachelor lifestyle? Maybe he’s recently married and a new dad, or maybe his children are grown up and heading to college. If your brother is a sports fan, find out what his favorite team is — if you don’t already know. Most sports fans love sports memorabilia from their favorite teams, and these items make great go-to gifts when you’re short on ideas. Finally, think about your budget. If you have a price range in mind, it’s easier to narrow down your options in your quest for the perfect gift. Not sure where to start? Check out our top five gift ideas for brother below. Brothers prove an especially challenging group when it comes to gift-giving, but we’ve found five top-notch options that might make the perfect gift for your bro. Even if one of the below ideas isn’t a fit, these ideas might just inspire you to come up with a gift idea that’s sure to impress. No guy likes to tote around a thick, bulky wallet in their back pocket. If your bro is a bit of a minimalist, this aluminum wallet is slim enough for his front pocket, and it has RFID blocking technology to prevent theft and keep his private information, finances, and identity safe from would-be thieves. 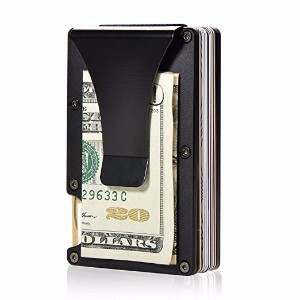 It holds a maximum of 12 cards and also has a money clip and flexible elastic webbing to hold a few frequently-used credit cards, IDs, or other items. Choose from a variety of colors and designs, from black to gunmetal, gray, and silver, or opt for one that comes with a slim, compact keyholder as well for an additional $10. Scented candles probably aren’t the first gift idea that comes to mind when you’re searching for a gift for your brother, but this set of three scented candles is different — they smell like beer! If your brother is a beer lover or has a man cave at his place, these candles are sure to be a hit. 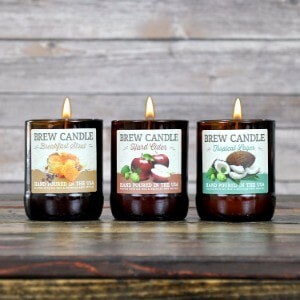 Hand-poured in the U.S.A., the Swag Brewery candles are made of soy wax, and this set comes with three scents: breakfast stout, hard cider, and tropical lager. Each 8-ounce candle has a lead-free wick and burns for 40-plus hours. The perfect gift for budget shoppers — and the bro who lives for football — this page-a-day calendar features fun football trivia tidbits every day of the year. Your brother will soon have knowledge of tons of facts and tidbits about the game he loves, such as who holds the NFL record for the most punt returns in a season, the first NFL quarterback to throw 50 touchdowns in a season, and more. 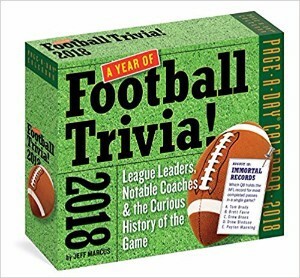 Whether your brother is a football fanatic or the kind of guy who likes to show off his knowledge of the game to his fantasy football league pals, A Year of Football Trivia is a gift he’s sure to appreciate all year long. If your bro is more of a baseball kind of guy, there’s a calendar for him, too. 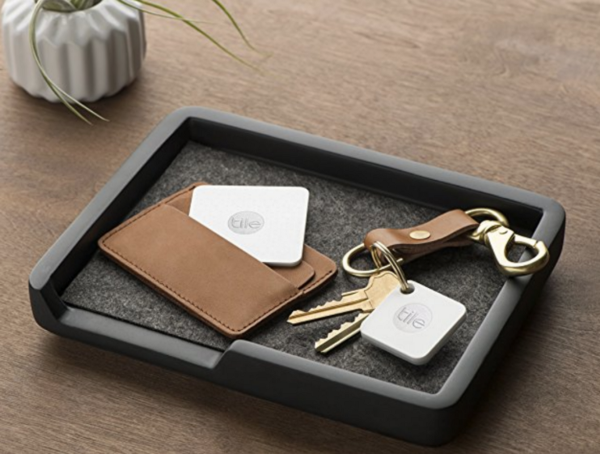 Perfect for the guy who is constantly losing track of his keys, his wallet, and other daily essentials, the Tile Mate & Slim Combo Pack comes with two Tile Slim and two Tile Mate Bluetooth trackers to help him keep tabs on his laptop, his car keys, his wallet, and whatever else he’s always losing. After dropping a tile in a bag or attaching it to the often-lost item, his smartphone app can make the tile ring when it’s nearby and also remembers the last location for each tile — so he can quickly find all his essential stuff, whether it’s buried in a three-week pile of laundry in his bedroom or scattered around the house. Whether your bro is a college student or simply the type who is constantly hangry, the Hangry Man Kit is the ultimate gift. Packed with protein, meat, nuts, and snacks, the Hangry Man Kit is the perfect survival kit for his dorm room or bedroom, for tailgating, binge-watching his favorite Netflix series, after-school snacks before sports practice — you name it. 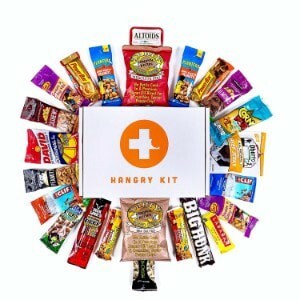 The Hangry Man Kit contains more than 20 name-brand, top-shelf snacks guys love. That means he’ll never get bored eating the same old snacks day after day, and you can rest assured that your gift is one he’s certain to enjoy. In fact, you might want to get a Hangry Kit for every guy on your gift-giving list. Brothers can be a real pain, and trying to find the right gift for a bro is no exception. But don’t sweat it — if you can’t come up with a great idea based on his interests, hobbies, and lifestyle, these five ideas are great go-tos with broad appeal.